Developed by cardiologist Arthur Agatston, the South Beach Diet is not your usual high-protein diet. Unlike other commercial diet plans, the South Beach Diet emphasizes healthy proteins and is considered a moderate-carb, as opposed to low-carb, diet. Like other carb-restricted diets, however, the South Beach Diet is divided into phases to help you adjust to the diet and promote weight loss. Phase 1 of the South Beach Diet is the most restricted part of the plan, but it only lasts for two weeks. The goal of Phase 1 is to reduce cravings and get a jump-start on weight loss. According to the South Beach Diet website, you may lose up to 10 pounds during this phase of the program. During Phase 1, your diet is limited to healthy proteins such as poultry, lean meats, fish, eggs and tofu; low-carb vegetables such as peppers, broccoli and spinach; nuts and seeds; milk, yogurt and cheese; legumes such as chickpeas, lentils and soybeans; and healthy fats such as avocados and olive oil. Breakfast during Phase 1 of the South Beach Diet is a breeze if you enjoy eating eggs. For example, you might make a three-egg omelet filled with 1 cup of spinach and 1 ounce of Swiss cheese. This meal contains 350 calories, 30 grams of protein, 5 grams of carbs and 23 grams of fat. 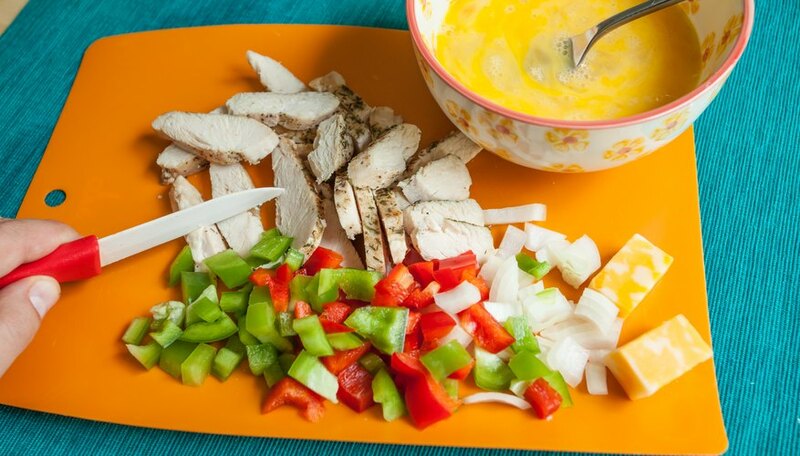 You might also like a crust-free individual quiche made with two eggs, 1 ounce of diced chicken breast, 1 ounce of cheddar cheese and 1/2 cup of diced onions and peppers. 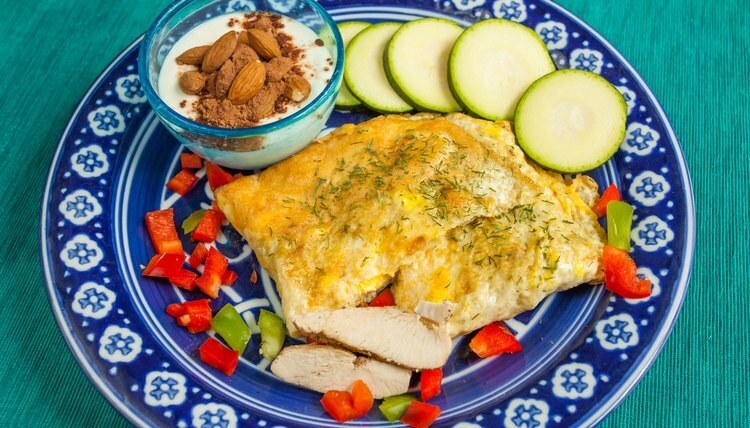 This meal contains 310 calories, 28 grams of protein, 3 grams of carbs and 25 grams of fat. 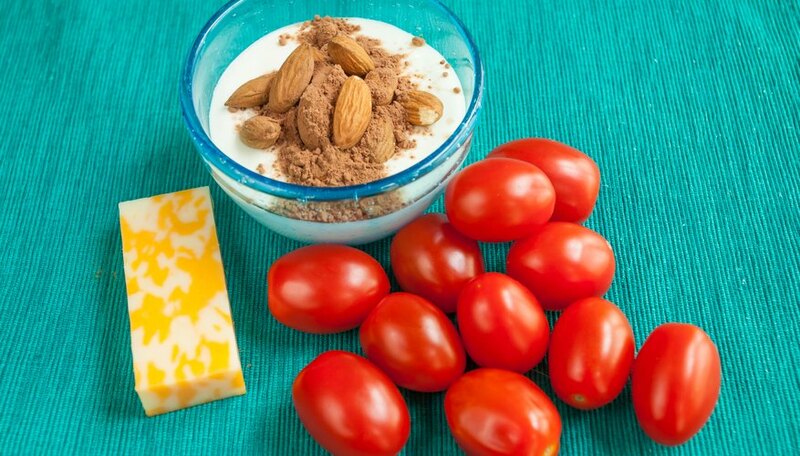 A dairy-focused breakfast might include one container of plain nonfat Greek yogurt with 12 chopped almonds and a dusting of unsweetened cocoa, 1 ounce of cheddar cheese and 1 cup of grape tomatoes. This meal contains 315 calories, 11 grams of carbs, 26 grams of protein and 18 grams of fat. 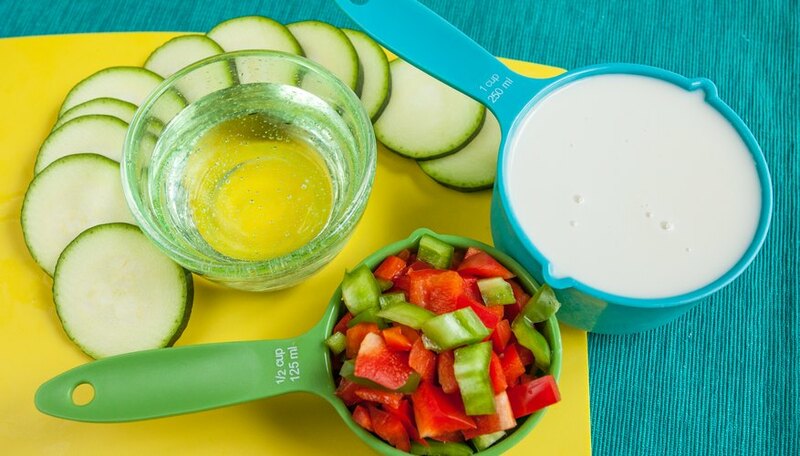 Or try 1 cup of low-fat cottage cheese with 1/2 cup of diced zucchini, 1/2 cup of diced tomatoes and 1/4 of an avocado. This meal contains 335 calories, 30 grams of protein, 5 grams of carbs and 22 grams of fat. Even strict vegetarians can follow the South Beach Diet during Phase 1 of the plan. You might enjoy 1 cup of tofu scrambled with turmeric, 1/2 cup of peppers and 1/2 cup of zucchini in 2 teaspoons of olive oil, served with 1 cup of soy milk. This meal contains 385 calories, 24 grams of protein, 17 grams of carbs and 25 grams of fat. A savory bean salad made with 1 cup of eggplant and 1 cup of tomatoes sauteed in 1 teaspoon of olive oil and tossed with 1 cup of garbanzo beans and served with 12 almonds may not be a conventional breakfast, but it makes a good meatless option during Phase 1. This meal contains 380 calories, 18 grams of protein, 40 grams of carbs and 15 grams of fat. Weight Loss: What’s Wine Doing to Your Waistline? © 2019 - Cele mai bune produse pentru sanatate si frumusete. All Rights Reserved.